POP Interview: Ed Raarup Inspires With Music, Storytelling and Art In "Fireflies And Shooting Stars" - POP GOES THE WEEK!! There is something beautiful about the surprising personal stories you discover in the lives of the people you meet. There is always much more to the people you come across in your life than you know – and just one conversation can leave you enlightened and inspired! I was recently reminded of that when I met Ed Raarup. I came to know Raarup, a Milford, Pennsylvania resident, while searching for real estate in his area. In the process of our discussion I came to learn that he has a rich, compelling backstory. Raarup spent the early years of his career as a NYC actor, singer and writer. As he branched out of the city into the beautiful Pocono region to sell real estate, he took his love of writing and music with him. 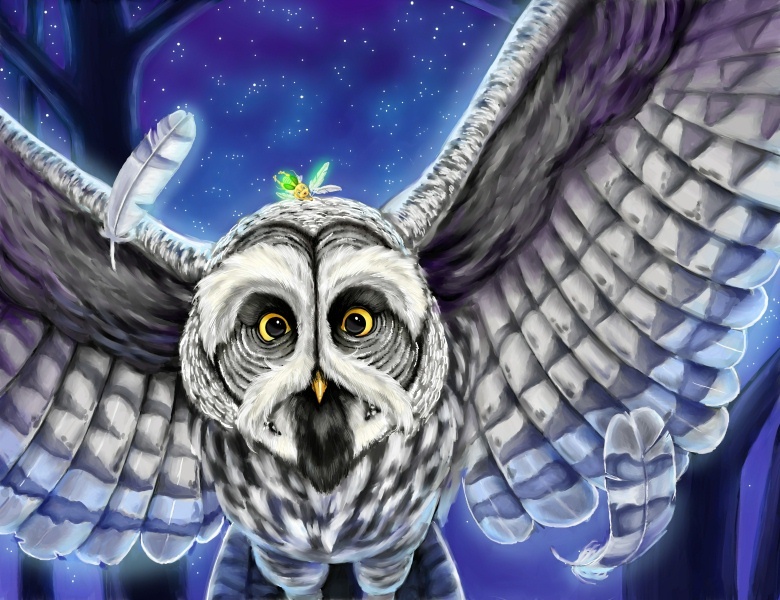 Utilizing his relationships with Broadway artists and an incredibly gifted illustrator, he began to bring one of his passion projects to life: A children’s book that combines beautiful art, song and story with a touching message of acceptance. 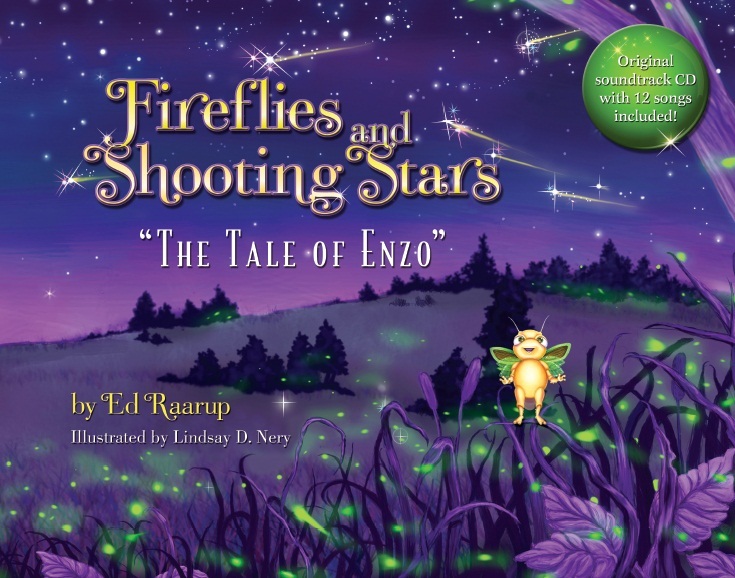 Fireflies and Shooting Stars tells the story of Enzo, a firefly who was born without a taillight. As Enzo faces the challenges of growing up being different than those around him, the message for all children who are differently-abled becomes clear. The book is a lush 143 pages, full of rich illustrations. Heartfully written, the book also comes with a CD full of music to accompany the story. (Listen to the tracks here!) It’s a story of hope that stresses the importance of accepting the differences in others as well as ourselves. Ed: The whole project really began with my friends, Ronnie and Joe Biondo. They created a handicapped accessible playground for kids in Matamoras, PA called Firefly Field. The name of the park was inspired by a song called Fireflies and Shooting Stars written by our mutual friend and professional musical director, Michael Rice. 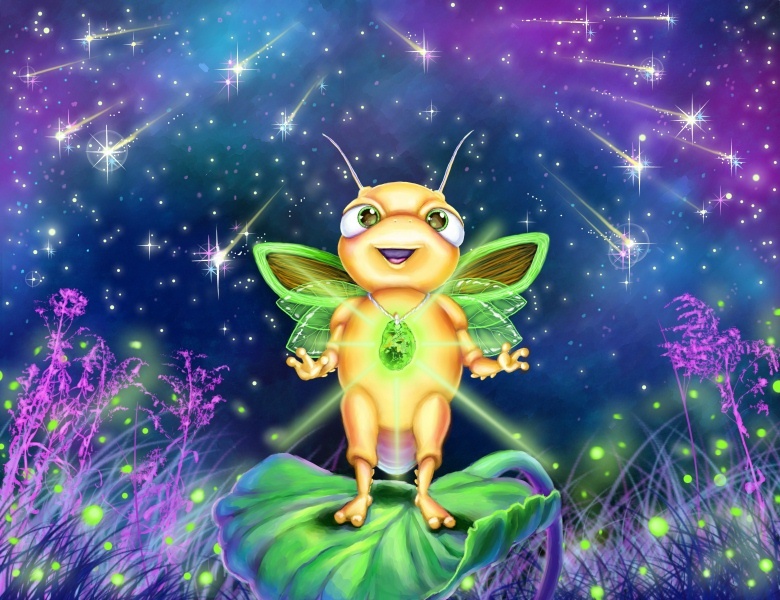 In keeping with that inspirational effort, I wrote the story, Fireflies and Shooting Stars, The Tale of Enzo, about a little firefly named Enzo who was born without a taillight. 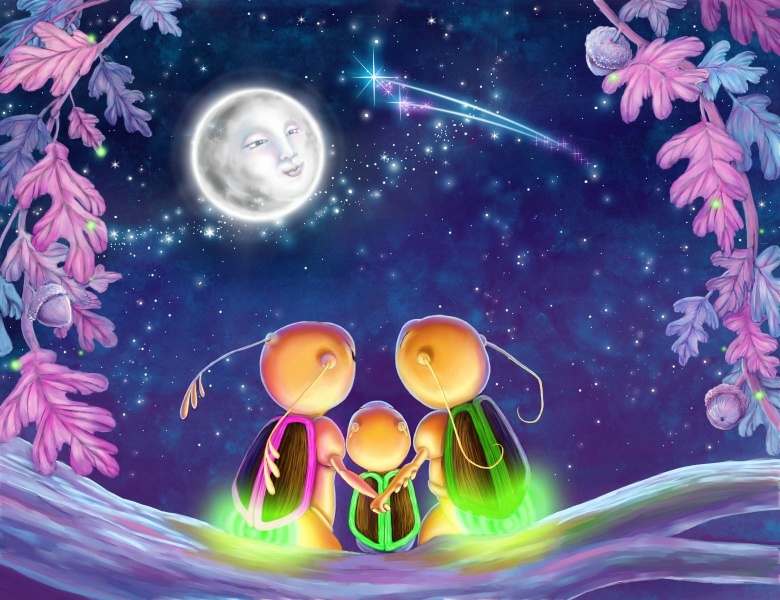 In seeking Enzo’s own inclusion and success, the tale tells of his self-determined, fantastical journey and adventures to find his light – a tale of truth, hope and acceptance for children of all ages. From writing the first draft of the story to holding the printed book in my hands, it was an amazing five year journey. There’s a very powerful, important message in this story – talk to me about it, and tell me why it was important for you to share it? Enzo probably says it best in the story: “You’ve gotta know just who you are and what you’re good at so you can shine in your own way.” In contrast to the thought that we are all the same or should be, Enzo’s journey leads us to the truth that no one is exactly the same, and we discover the importance of accepting the differences in ourselves and others. By realizing this simple truth, it could be possible to find a way toward goodwill, respect and much happiness for all. Putting this book together must have been quite an endeavor … even after you created the story – it must have felt like you needed several miracles to pull it off! From getting the music and the artists together to getting it published… how did it all come together… and which came first? Which was the easiest – and the hardest – to get together? Writing the story and songs was the first step and that seemed easiest given my background in the arts. My editor was Emma Walton Hamilton who has written a number of children’s books with her mother, Julie Andrews. With Emma’s wonderful editorial guidance, the story and songs began to develop and take on a life of their own. Upon completion of the lyrics and music for each song, I would hand them over to Michael Rice who did all the musical arrangements. 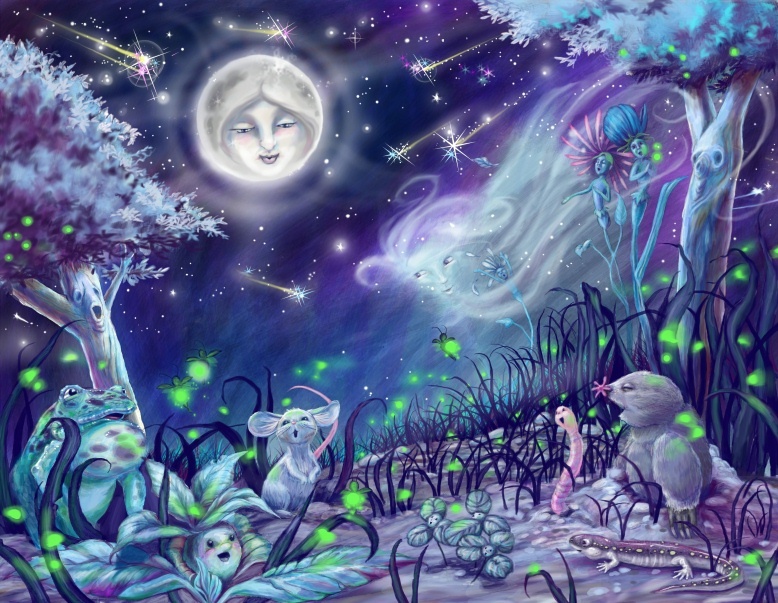 I met with my illustrator, Lindsay D. Nery, every two weeks for about three years to develop the illustrations. In time, we had a book with 10 heartwarming chapters, 12 beautiful songs and over 80 stunning illustrations. The book layout was brilliantly designed by Torque Advertising + Design from Fort Lauderdale, FL and the book itself was printed and bound in Ashland, OH by Bookmasters. Due to the uniqueness of the art and music included in the work, the hardest part was getting it published. Ultimately, I followed the advice of self-publishing expert, Peter Bowerman, and created my own company to publish the work called MoonWatch Productions. It was a very rewarding experience but I was responsible for every aspect of production. The amount of details, time and cost for such an endeavor can be overwhelming, but it was all worth it. Oh, and getting a bunch of Broadway singers all together to record can be a challenge. Despite the many scheduling conflicts, we managed to pull it off with the extraordinarily talented likes of Lynne Wintersteller, Scott Hayward, Jennifer Smith and Gina Milo. Peter Millrose of Millrose Music in NYC recorded and mixed the songs and MasterDisk NYC mastered the CD. There were many, many trips to Manhattan to produce the CD. So many children’s books are short – you essentially finish reading them in one night. Was it important to you to tell a story that families could enjoy over time? Yes. When I was a kid, my mom used to read a chapter book to me called The Boxcar Children. I remember I couldn’t wait to see what would happen each night as a new chapter was read. And when I was old enough to read myself, that became one of my favorite books. I’ve received a number of emails and reviews from parents letting me know that their children are enjoying my book in the same way. This book could really be enjoyed by kids of many different ages – from the smallest of children just learning to appreciate books (the pictures alone tell a great story!) to the older child who is reading on their own… Did you have a certain age of child in mind for your story? 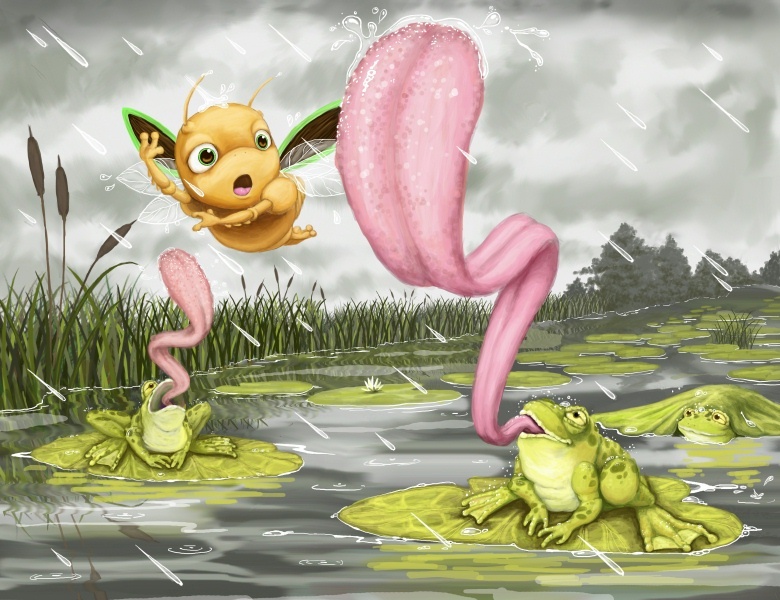 In general, the book is ideal for 4 to 10 year olds, but we are finding there is huge crossover appeal for all ages because of the story’s message, Lindsay’s outstanding artwork and the Broadway-style songs. A lot of parents have responded that they love listening to the CD and they want to know where they can get posters of the artwork for their children’s rooms. We’re working on it! You’re obviously a multitalented guy – you’ve got a history as an actor and a musician – tell us more about your background – And, which part of this process did you enjoy the most? I studied vocal music and theatre in college and grad school. When I lived in NYC as a professional actor, I performed in a variety of regional theatre productions, cabaret clubs and television shows. After a lifetime of being involved in the arts, I have found that I most enjoy writing. Whether it be stories, lyrics or music – I love the whole writing process. Beyond the story itself, there is another message in this whole story – one of your own determination in making this passion project happen! Talk about the quote you wrote on your wall when you decided to take this on…. 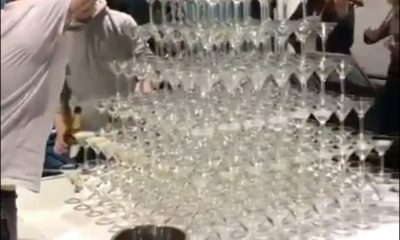 did you learn any lessons in the process of pulling this off? The quote you are referring to is by Goethe: “At the moment of commitment, the universe conspires to assist you.” I knew this project would require a lot of effort and this quote kept me focused. Much like Enzo’s journey, there were many unknowns but I knew if I persevered I would somehow find a way to succeed. I am truly grateful for the resources, knowledge and many wonderful people drawn together to make this happen. The lesson learned: the universe may assist you, but your own strength and determination will see you through. What would you like to do next? Any projects ahead? I am pursuing the development of a stage/concert adaptation or even an animated series or film for the story. I’m also working on an education curriculum with the book as a focal point to provide to schools and libraries. Of course, it is an ongoing process to find and collaborate with those who can make these types of developments occur. Finally, I’ve been working on a holiday book with Enzo and his friends. I hope to write many more stories and music, and I’ll go wherever my imagination leads me. FOLLOW Ed (@EnzoFirefly !) on twitter! Melody Balthaser, author, mother, (and my sister-in-law!) 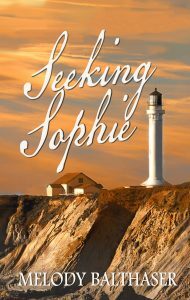 just released her new book “Seeking Sophie.” Set in a lighthouse, the story is all at once suspenseful, romantic, thrilling and inspiring. I was proud to be able to talk to her about the story, and her own personal journey in publishing it. PGTW: So what is the book actually about? The message throughout the book is that no matter what the situation looks like there is always hope. I’m always fascinated by the journey – the internal one – that it takes to form and write a story. You’ve been kind of fascinated by lighthouses for a while, now, I know… tell me how this all came together…. It sounds funny but this story just began to take shape in my mind. Characters came alive and took up residence in my brain and the story unfolded over the next few years! I had read a little harlequin romance about a lighthouse keeper whose wife died suddenly and he had to row ashore and find a wife immediately. Lighthouses and the mystic surrounding them have always fascinated me so it was a perfect setting for my story. What about Maine inspired you to set the scene here? It parallels life with its contrasts between rocky coastline, frigid ocean, gnarled coastal spruce and soft tangerine sunrises, wildflowers and blueberry bushes. I especially love the scent of pine mixed with salty, sea air! Did you always suspect how the story would unfold? Did you always know how it would go? No, I began to write it immediately but it took many years to develop as I was busy with a family and had no real aspirations of becoming an author at that time. What do you ultimately hope that people take away from it? I hope that people realize how much God loves them and that His plans for them are excellent! I also want people to be inspired to be tenacious and courageous in living out their lives. This is obviously a labor of love for you – so in addition to knowing the story in the book itself, I’m dying to know your own story of evolution – how does it feel to accomplish such an amazing thing? 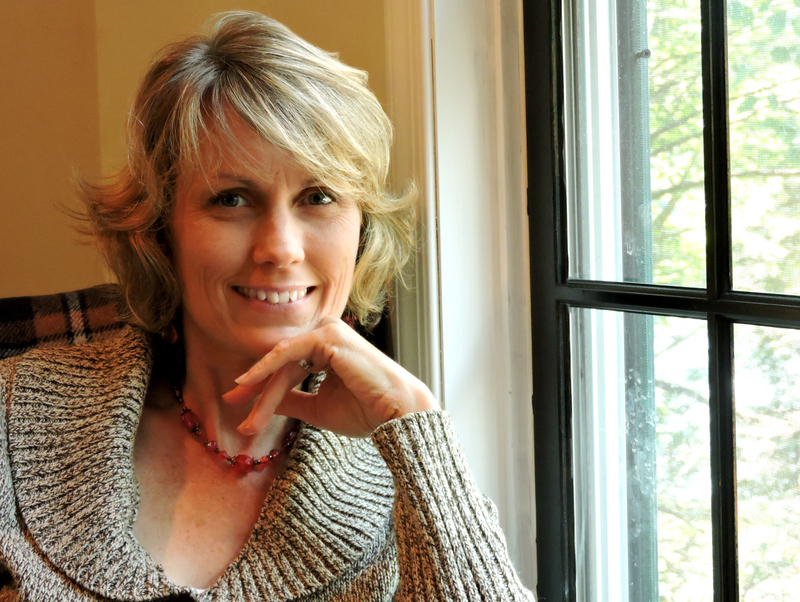 To me, being an author, publishing a book – is a dream and such a big deal! What does it feel like? I have always envied people who know exactly what they wanted to be from an early age. 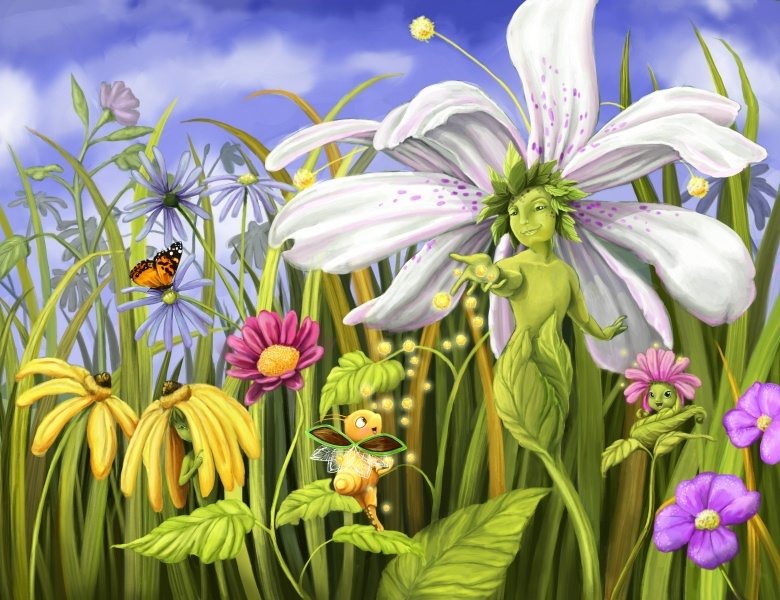 I, on the other hand, felt like a butterfly flitting from one flower to another as I tried different careers. I never knew I had a gift for novel writing. At bookstores, I would gaze at the books lining the shelves and wonder what it would be like to have my name on the cover. I love it!! What has been the most surreal or ‘pinch me’ moment since the book has come out? Holding my first copy of Seeking Sophie and laying in bed reading it just like I had done with so many other novels over the years. This one had my name on the cover! I can imagine!! 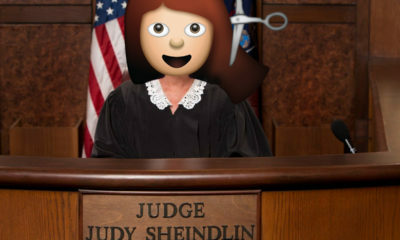 I also happen to know you have a husband and three kids and a job and church activities you’re involved in – so how did you find the time to do this? I’ve come to the conclusion that every phase of life has it’s challenges and I’m constantly trying to find focus and prioritize my activities. I love early mornings when my family is still sleeping and the only sound is the gentle trickling of our fish tank. I pour myself a strong cup of coffee and step into the minds of my characters. What message would you give to other women (and moms) who have a dream of becoming an author? Becoming an author takes determination to see your story through to the ending and stay with the process of critiques and editing and publication. You have to do the hard work but in the end it takes submitting it to God and allowing Him to open the right doors in His perfect timing. 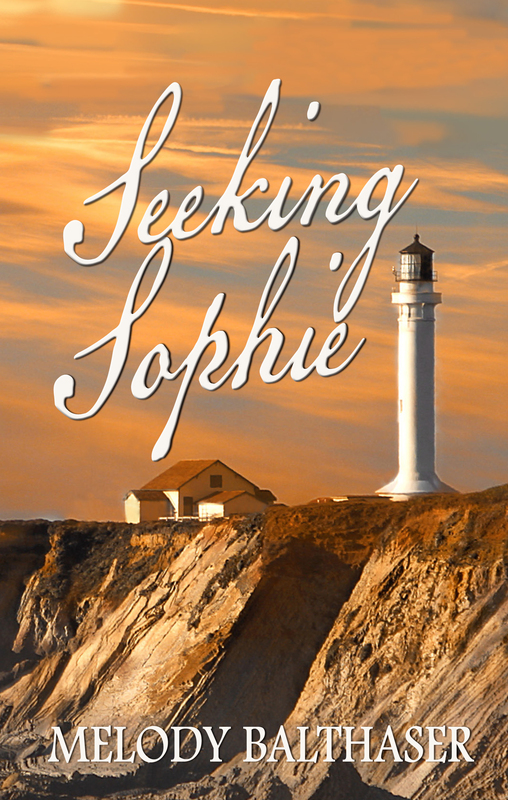 Purchase your own copy of Seeking Sophie on Amazon, or at the Crossriver media website! Remember this hilarious video where Gilbert Gottfried does the audio book for ’50 Shades of Grey’? It’s hilarious. Enough of the uproar about casting the roles in the movie. Gottfried is clearly the man for the job. Odds are if you’ve known a woman in the past year, you’ve known someone who read “Fifty Shades of Grey”. And now that the film’s screenplay is being written, it’s becoming obvious that certain fans are just as obsessed as they were when they first read those dirty, dirty pages. In a new interview with Style Magazine, “Terra Nova” writer Kelly Marcel, who has been hired to pen the screenplay, is saying that fans are so rabid, they’ve been searching through her garbage for any hints of a script! “There are shredders arriving at my house at this moment, because in LA my trash was gone through – seriously, people are rabid about this thing,” she told Style magazine. So besides the obvious question of who will be playing Anastasia Steele and Christian Grey, you have to ask…is this much effort worth it, or should we all just read the book and be happy?